Janice Mixon Woods age 66 went home to be with her Lord and Savior on March 17. Funeral services will be held Wednesday at 2:00 at the Clyde Church of God. Rev. Jimmy Jeffords and Rev. Hazel Mixon will officiate. Burial will be in the Clyde Church of God Cemetery directed by Norton Funeral Home. 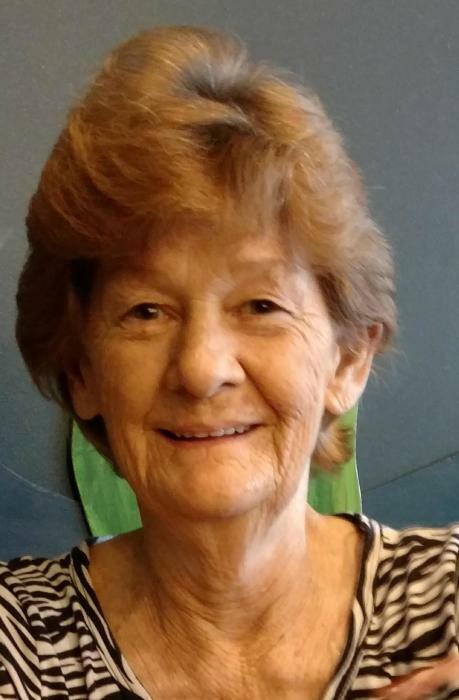 Visitation will be Tuesday 5-7 pm at the funeral home and at other times at the residence of her daughter Rhoda Woods at 245 Hillcrest Road, McBee, S.C.
Janice was born in Hartsville a daughter of the late Ernest C. Mixon and Viola Miller Mixon. She retired from AO Smith after 18 years of service. She was a member of the Hartsville Church of God of Prophecy. She was a loving mother, sister, grandmother and great grandmother. Surviving are four children, Rhoda (Timothy Matuse) Woods, McBee, Timmy (Elizabeth) Lackey, Hartsville, Jesse (Hope) Woods, Florence and Shane (April) Woods, Hartsville; nine sisters, Marilyn Ferguson, Hartsville, Joyce (Harrison) Wallace, Cheraw, Carolyn Sanders, Patrick, Lisa (Don) Tallon, Marion, Marie (Bee) Atkinson, Hartsville, Trish Morris, Fairplain, West Virginia, Cynthia Mark) Cope, Winston Salem, N.C., Gloria (David) Shoemake, Hartsville and Coleen (Ricky) Simmons, Hartsville; one brother, Ronald Mixon, Hartsville; brother in law, Rev. Eddie Freeman, Manning; sister in law, Shelia Mixon, North Carolina; 11 grandchildren and 3 great grandchildren. She was preceded in death by her husband Jesse Woods, Granddaughter, Alexis Rae Woods; Grandson, Payton Gainey; brothers, William Mixon and Willie (Pee Wee) Mixon; sisters, Hattie Sanders and Betty Jo Freeman. Norton Funeral Home is honored to serve the Woods family.